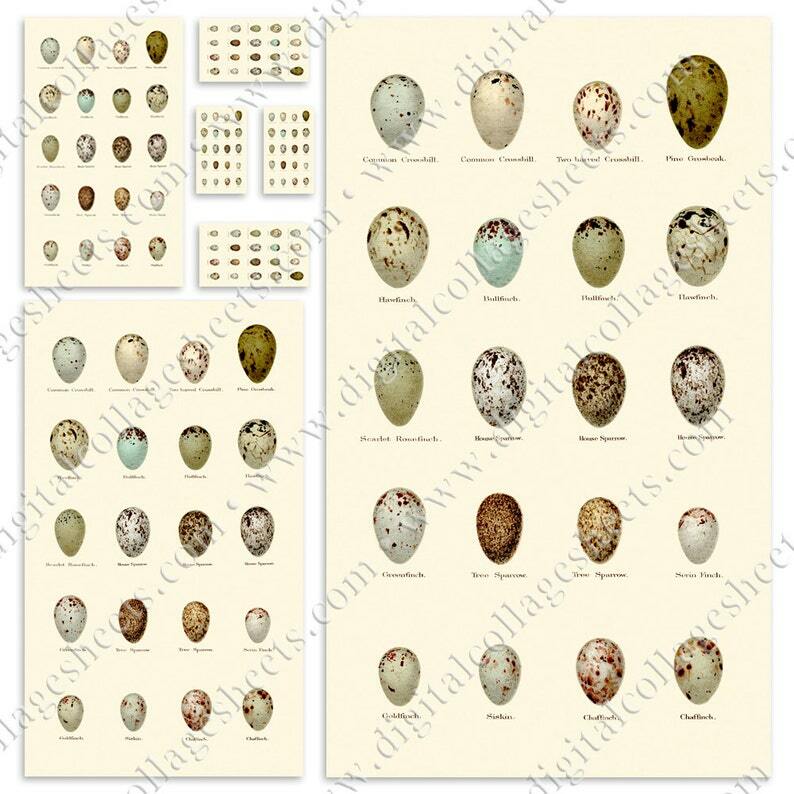 Antique British natural history chromolithograph from the 1880's featuring a study of hand drawn eggs. Each egg has it's species name written below. 20 eggs in total. (1) - 4.5" x 7.75"
(1) - 3" x 5 1/8"
(2) - 2" x 3.5"
(2) - 1" x 1.75"
(3) - 1/2" x 3/4"